Peugeot Rifter 1.5 BlueHDi 130 GT Line 5dr EAT8 2019 Review | What Car? What Car? will save you at least £1,578, but our approved dealers could save you even more. 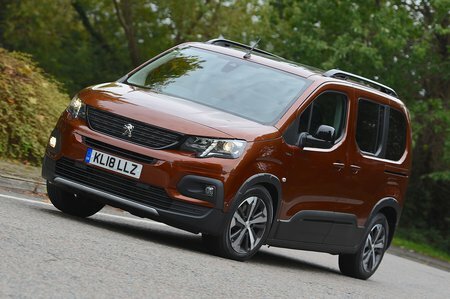 It may not have the class of more mainstream MPVs, but the Peugeot Rifter offers class-leading space, and is surprisingly good to drive. Top-spec GT Line adds mildly sporty cosmetic touches here and there, along with bigger 17in alloys, sat-nav and dual-zone climate control. We'd still stick with Allure, though. This 128bhp engine is our pick of the diesels. It's remarkably smooth and refined, and has lots of useful low-down grunt that’ll be great for those who regularly carry large loads or lots of people. It also offers great fuel economy if you do lots of motorway miles and is available with a slick, eight-speed automatic gearbox, which feels like a perfect fit for it.